Andy and me in Somerset. 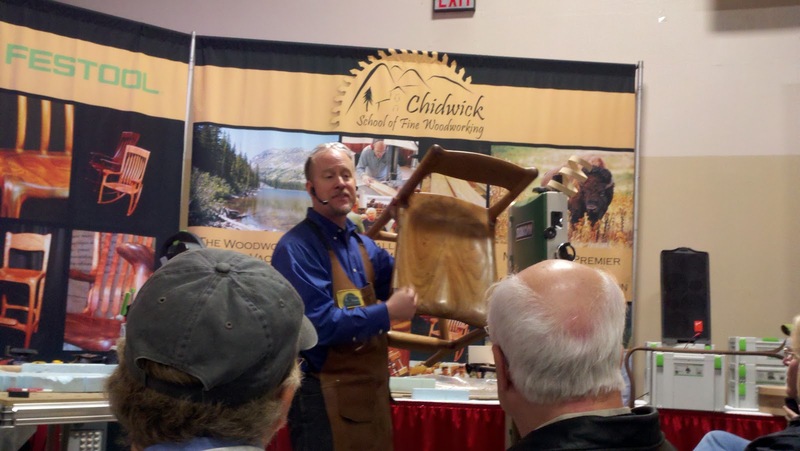 While I was attending The Woodworking Shows in Somerset, NJ on February 25, I was Tweeting about attending lectures by Andy Chidwick of The Chidwick School for Fine Woodworking. On of my fellow Twitterers (I wish I remembered who, I would give credit) asked if he could borrow my notes. 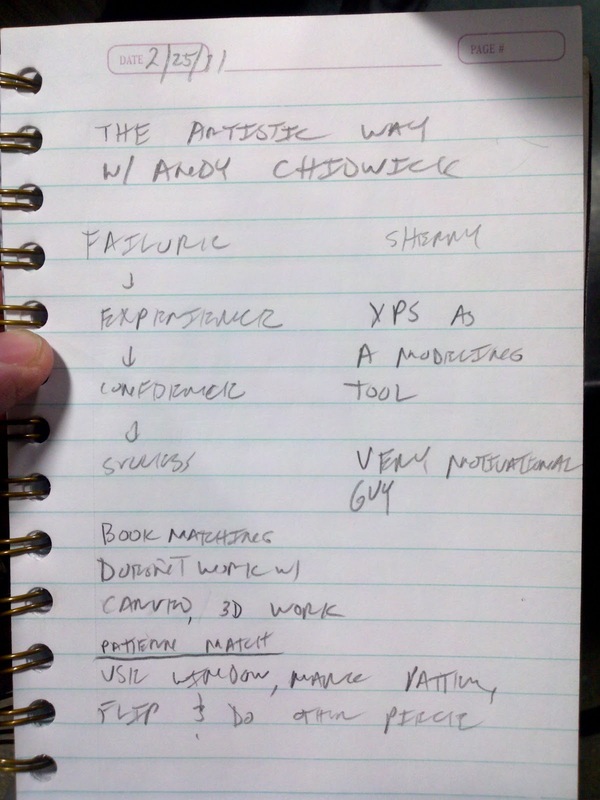 Well, I'm not the best of note takers, but here are my notes from Andy's lecture: "The Artisan Way." Use a window to match the grain pattern, then flip the window and do the other piece. That's the extent of my notes, so if you want more, you'll have to go see Andy in Montana. Andy shows off a beautiful bar stool. 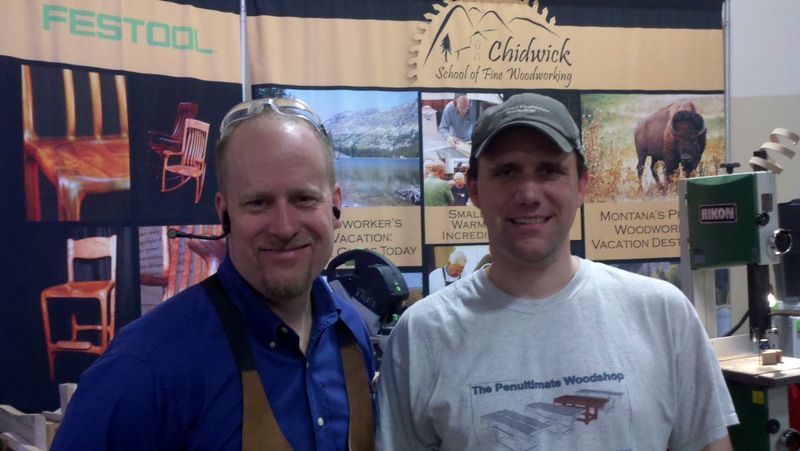 Would you trek across the country to attend a woodworking class?